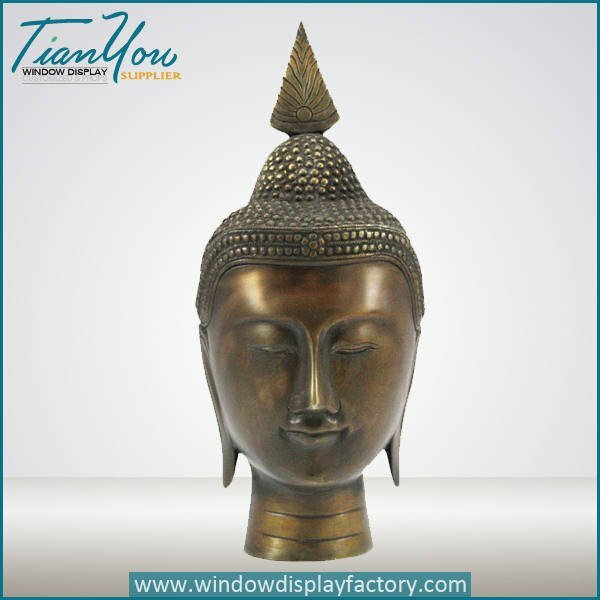 Antique Craft Brass Color Fiberglass Buddha Head,professional window display props supplier in China,provide a completed solution for store window display. 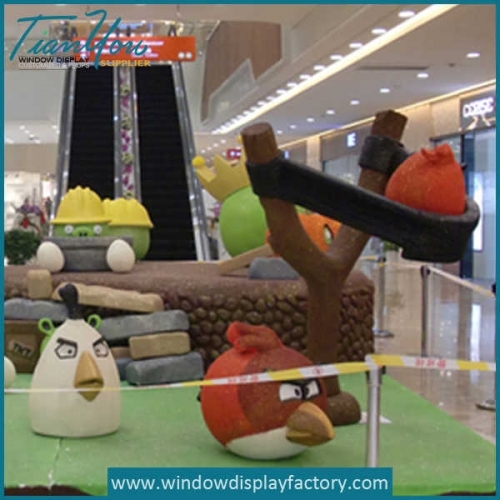 TIANYOU DISPLAY FACTORY is a startup company,was made of a group of young people with dreams. 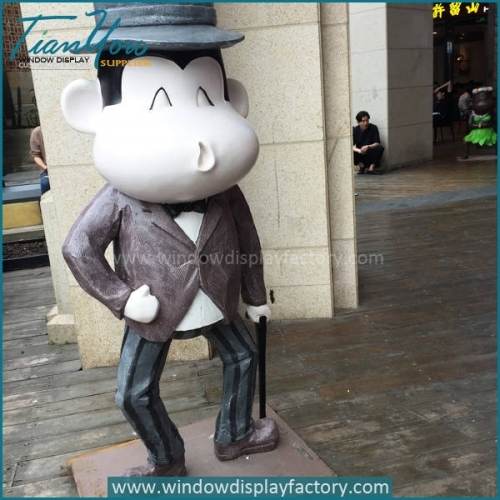 Our office is located at Xiamen city,convenient transportation,near the industrial raw meterial intensive baseband,100 kilometers away from “Resin town” Quanzhou,and 200 kilometers away from “The chinese best metal/iron crafts town” Anxi Country. 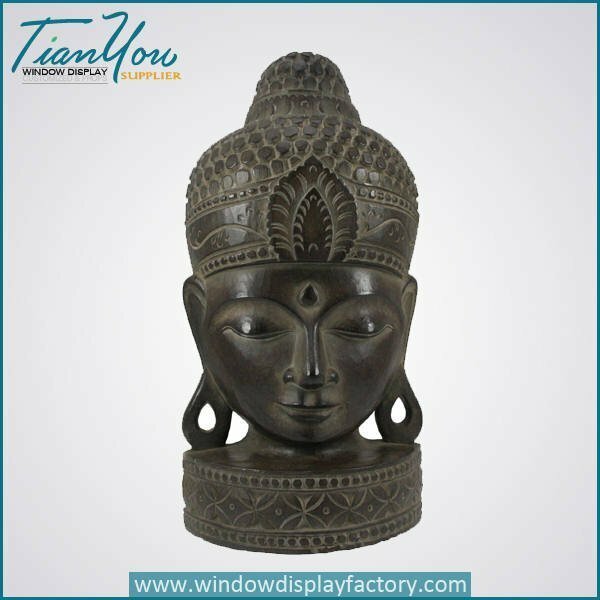 Easy to purchase,produce,inspect and manage the products. The buddies of our team are come from bellwether enterprise in this industry,with very rich experience in purchasing,production and management. They ever serviced for a lots of global Clothing chain brands such as Coach(U.S.A), Calzedonia Group(Italy), La Senza(Canada), Aritzia(ca),River Island(UK), Armada Group(Kuwait), Lola&Liza(Belgian), VF Corporation(U.S.A),and so on. 2.Packaging Details: Inner: air bubble and styrofoam; Outer: stiff paper carto. 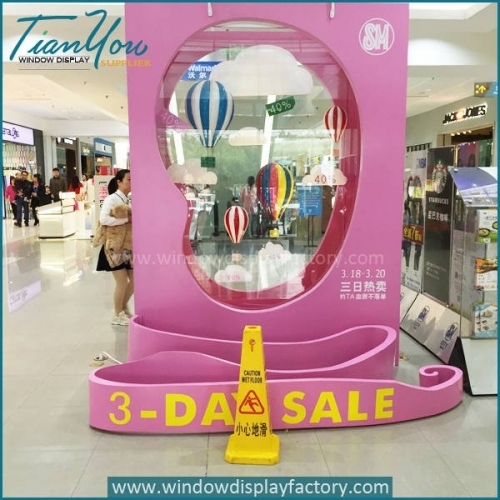 We offer worldwide visual display props,from Design-Develop-Produce-Packing-Ship.Each client is assigned a dedicated team of experienced manager,designer and craftmen who ensure your solution is on-time and on budget.We delivery design,build&installation services with best quality. •We respect your feed back after receive the goods. •We promise all spare parts available in lifetime use. •We longe your complain within 48hours. •We value every inquiry sent to us, ensure quick competitive offer. •We cooperate with customer to bid tenders. Provide all necessary document. •We are a sales team, with all technical support from engineer team. 3, Life time: 8-10 years. We usually quote within 24 hours after we get your inquiry. If you are very urgent to get the price,please call us or tell us in your email so that we will regard your inquiry priority. If you just need a sample to check the design and quality, we will provide you sample, as long as you afford the express freight. 1,Export all over the world. 3.We always develop more than 100 new items each year. 6.High quality with reasonable price. 7.Quick response to all your inquiry. 8.Offer complete product line of items you could think of,It means one stop solution for your project. 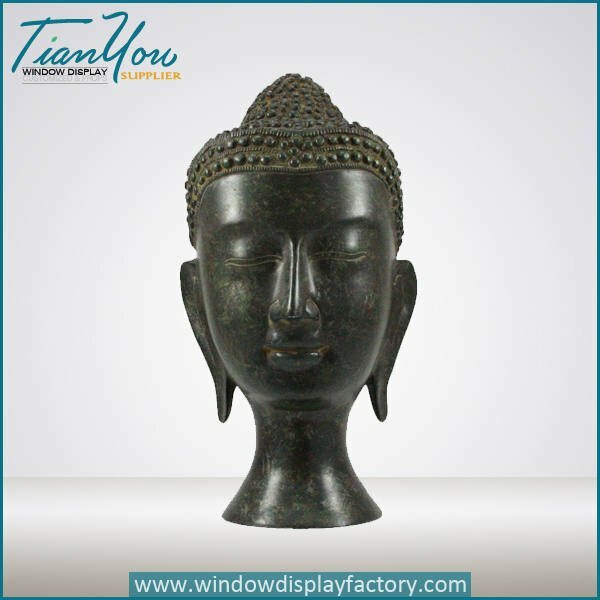 9.Owner of manufacturer, we could provide you competitive prices with strict quality control. 10.Besides OEM, we could handle ODM and work together to complete your project as we have. 11.Good experience of cooperation with different international customers. We gained a lot of Excellent after-sale service. 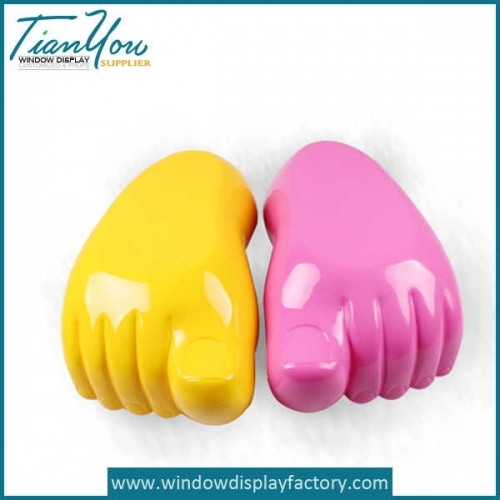 12.We have professional teams who can make various kinds of according to your design, artwork or product samples. 13.We make project step by step to match customer’s requirements and avoid any mistakes.